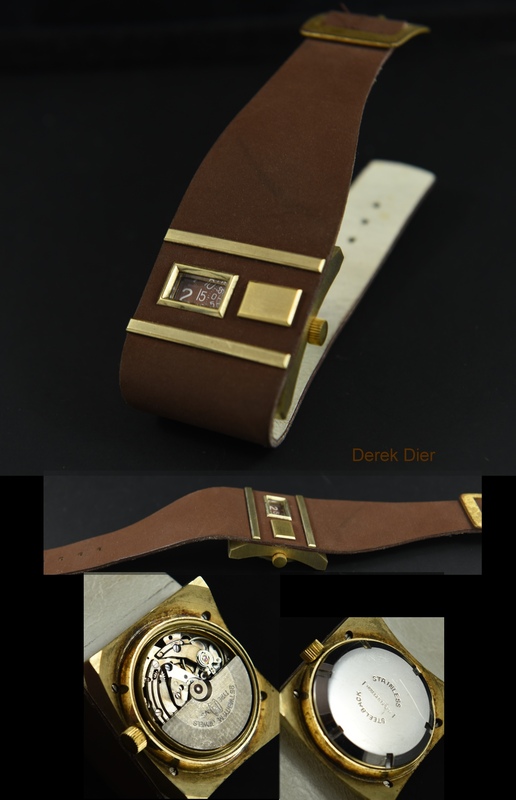 This direct read digital SWISS made 1970’s watch exudes “cool”. The 34mm. 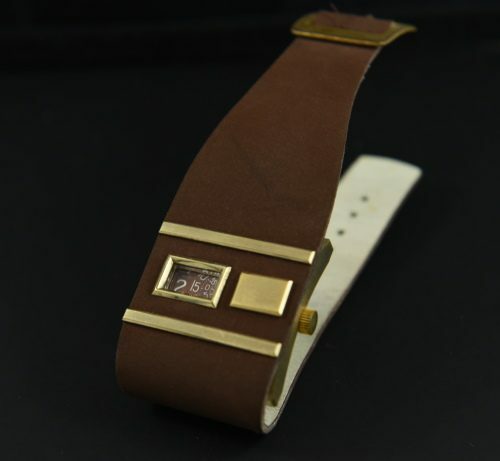 gold toned case with original suede band has been stored for decades-essentially not worn. We just had the automatic SWISS made movement cleaned and is running perfectly. The little square box on the front allows you to place your own personal monogram. You are going to love it!